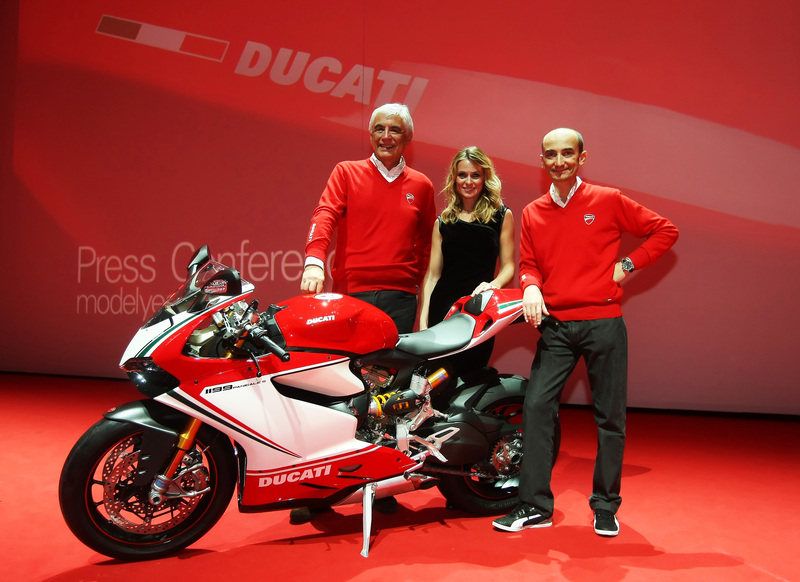 “Sales of approximately 42,000 motorcycles have generated revenues of €480m (approx. $660m), a 20% increase over the previous year and just reward for our highly innovative products. 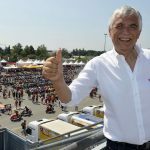 It gives us the confidence to believe in the pillars of our strategy and to continue on our ‘mission’ to be specialist leaders of the sportbike segment by further developing innovative and class-leading motorcycles,” del Torchio said. 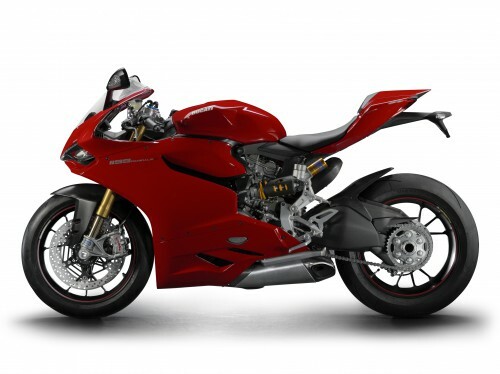 In our 1199 Panigale preview story I outlined the information we knew about the motorcycle at the time, which was highlighted by the monocoque chassis and the highly oversquare engine that would serve as the main stressed member. We then guessed at some of the specifics about the rest of the machine, including suspension and electronic rider aids that would be included. We even had Mark Tome put together a rendering of what we believed the new machine would look like. 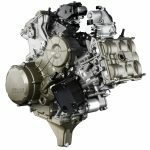 Later, Ducati released official information regarding the 1199cc engine , dubbed the “Superquadro” in reference to its internal dimensions. Much of the information was already known, but there were still some surprises in the engineering of the engine and the thought process behind it. 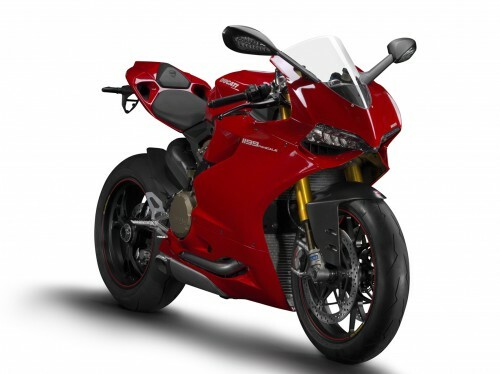 And speaking of technological aids, the 1199 will employ no less than seven different technologies, some of which are firsts for a production sportbike. Ducati’s Riding Mode concept will now feature ABS, Ducati Traction Control (DTC), Ducati Electronic Suspension (DES, first seen on the Multistrada 1200), Ducati Quick Shift (DQS), Ducati’s new race-derived Engine Brake Control (EBC) and Ride-by-Wire (RbW). The full-color Thin Film Transistor display, first seen on the Diavel, transmits all the vital information back to the rider. 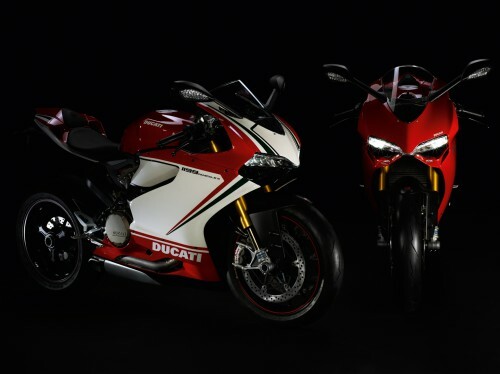 The 1199 Panigale will be available in three versions: the standard model ($17,995), 1199 Panigale S ($22,995), and the flagship 1199 Panigale S Tricolore ($23,995). As for the rest of the 2012 lineup, the 848EVO is accompanied by a new for 2012, 848EVO Corse Special Edition with enhanced electronics, suspension and stunning Ducati Corse livery, which completes the 2012 Ducati Superbike range. The new 848 Streetfighter, which Tom Roderick rode during its official press introduction joins the 1098-powered Streetfighter S to broaden the naked family. The former coming in both yellow and red, with the latter debuting a “race titanium matte” finish. For 2012, the Diavel is available in four versions. The standard Diavel, and the Diavel Carbon now stand alongside the brand new Diavel Cromo and the exclusive Diavel AMG Special Edition. 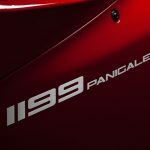 2012 Ducati 1199 Panigale Engine Details Revealed.